Here at Soil Mender, we know healthy plants thrive in healthy soil. Our products turn poor soil into a balanced, thriving ecosystem that produces healthy plants. Growing through healthy soil is a simple and effective way to grow. Creating that soil foundation is easy as well, using our three-step process. Healthy plants are more resistant to pests and disease, and utilize resources more efficiently. Fruits and veggies will be tastier and healthier for you as well. Healthy soil and plants utilize less water and nutritional resources than unhealthy ones. Balanced soil is a system that can grow healthy plants with minimal help from you. Proper soil structure is a balance of minerals, organic matter, water, and air. Restoring this balance allows soil to function properly to sustain plants. Use plant foods that feed plants AND benefit the soil. This restores mineral balance that allows roots to find natural nourishment provided in your soil. Protect your plants and soil from harsh elements. Using a composted mulch creates a self-sustaining life cycle for your soil. Grow better with healthy, protected soil. ready to boost your greenthumb? 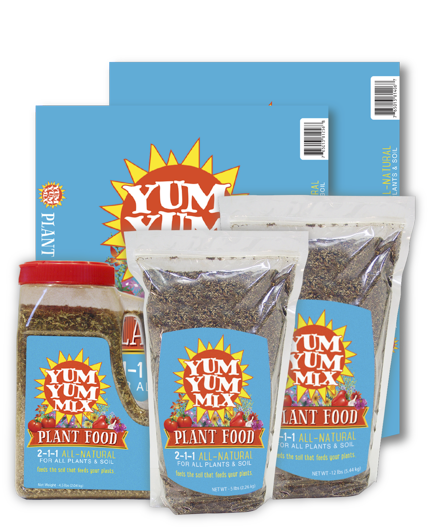 Take a different approach to growing plants that focuses on plant health through soil health, starting with our three product lines: Soil Mender, Yum Yum Mix, and Back to Earth. 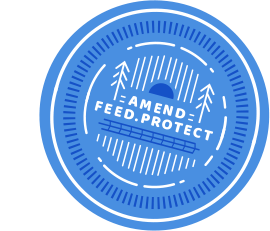 Our thoughtfully crafted products amend, feed, and protect soil in a way that is natural and simple for anyone to use. Whether you're looking to prep soil, garden, or care for your lawn, you will find what you need to grow and sustain healthy plants. Our products are designed to create a sustainable and easy-to-maintain landscape. 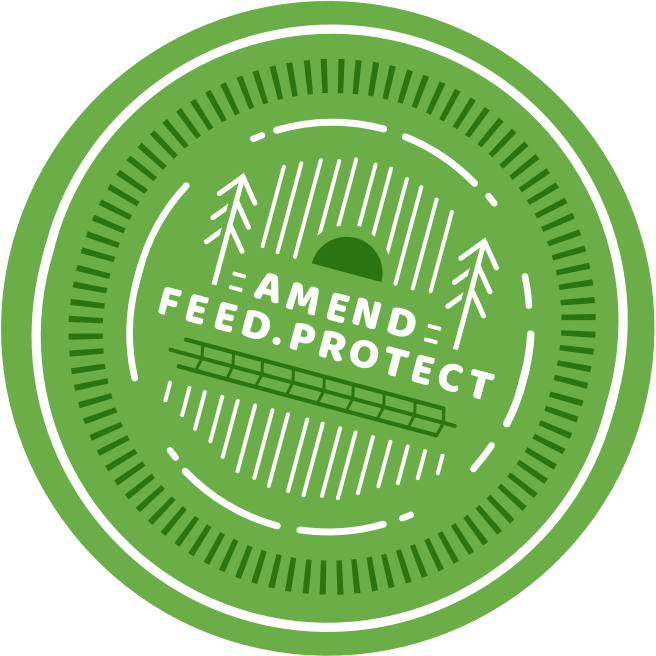 Our thoughtfully crafted products transform poor soil into a balanced ecosystem that produces healthy plants. Soil Mender overs a variety of products made with the vital building blocks of plant life. Our soil builders, plant foods, soils, and mulches will help you grow better. View our products' ingredients and suggested uses to learn more about how to use them.. Soil Mender overs a variety of products made with the vital building blocks of plant life. Our soil builders, plant foods, soils, and mulches will help you grow better. View our products' ingredients and suggested uses to learn more about how to use them. We have been working for over 20 years to bring a fresh approach to “growing better.” We know that with a sharp focus on soil health, plant health is soon to follow. Learn more about our company’s history and its dedication to sustainable soil conditioning products and manufacturing.